Exploring how shared decision making, co-production, group agency and policy have been part of a four year project with the aim to improve the experience of ward rounds in adult mental health inpatient settings. The Nottingham Ideal Ward Round Project supported by the Critical Values Based Practice Network have been awarded £7,000 by the Nottinghamshire Healthcare NHS Foundation Trust as part of funding designed to support NICE guidelines. The funding will support the development and implementation of an educational resource which aims to promote transparency and dialogue within key decision making forums. It will build upon the work of the Involvement Centre and the CVBPN who have been researching the experience of decision making in acute care from the perspective of service users, family members and professionals. Values and Ethics in Mental Health Book is out now! Values and Ethics in Mental Health Book is now out! 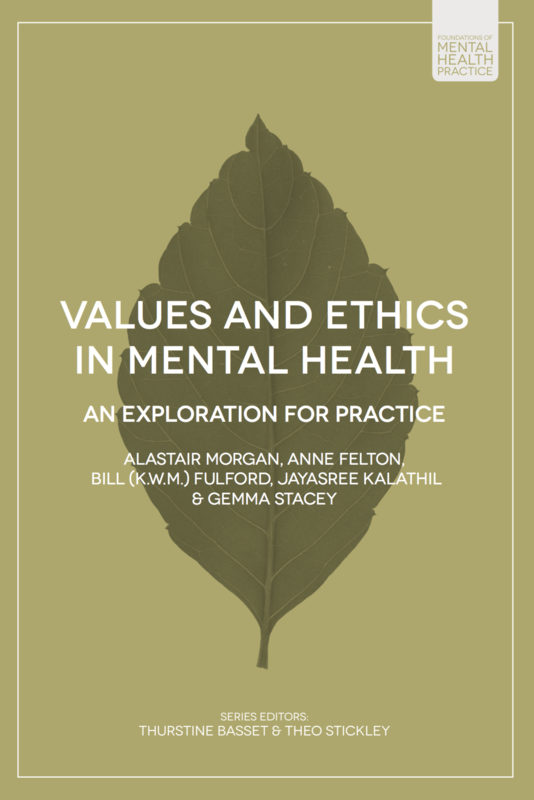 The new book Values and Ethics in Mental Health – An Exploration for Practice is now out! For more information or to purchase a copy of the book please click here. Bid submitted to the Innovate for Improvement programme funded by the Health Foundation to pilot the implementation of the 3 I’s model.